Clearly the first method wins here. 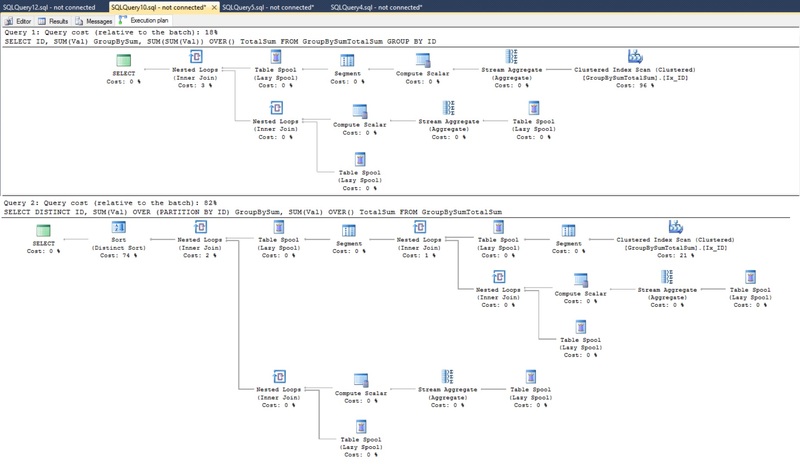 In second query we are doing an explicit sort on all the columns we get in the select list. Now this sort will be very expensive as we cannot have indexes on the columns we are sorting. Bro, you have used 2 Select here. The challenge is to use a SINGLE select. or this will also work. I had posted the wrong query earlier which may not work for the given scenario. Here is the updated one, which works exactly as required.